On December 24, 2013, in Commonwealth v. Diatchenko, the Supreme Judicial Court ruled that all life-without-parole sentences for juvenile offenders, whether mandatory or discretionary, violate the prohibition against cruel and unusual punishment under Article 26 of the Massachusetts Declaration of Rights. This decision went beyond current federal law, laid out in Miller v. Alabama, which holds that mandatory life-without-parole sentences for juvenile offenders constitute cruel and unusual punishment under the 8th Amendment, but states that judges still have the discretion to impose such sentences following a hearing to determine whether life-without-parole is appropriate. Following the decision, the SJC issued a ruling in Commonwealth v. Brown, which lays out the sentencing scheme that should be applied to juveniles in light of Diatchenko. Brown was charged with shooting and killing his friend on June 20, 2009. At the time of the shooting, Brown was just seventeen years old. On June 25, 2012, while Brown was still awaiting trial, the U.S. Supreme Court issued the decision in Miller. Brown was tried in August 2012 and convicted of murder in the first degree. Following the conviction, the sentence that the trial judge could impose was unclear. Under G. L. c. 265, § 2, all defendants over the age of fourteen who are convicted of murder in the first degree must be sentenced to life without the possibility of parole. In light of the Miller decision, however, the trial court judge was not legally allowed to impose a mandatory sentence of life-without-parole on a juvenile. The Commonwealth filed a petition for review of the issue by the SJC. Brown’s sentencing was stayed until the SJC issued a decision. In its review, the SJC first addressed whether Brown is entitled to the benefit of the law established under Miller and Diatchenko and concluded that the rulings laid out in the cases should be applied to Brown. The Court reasoned that new law must be applied to prosecutions that are not yet final at the time the new law is established, and that Brown’s conviction was not yet final because he had not been sentenced. The Court then went on to discuss what sentence the trial court judge could impose in light of Miller and Diatchenko. Both the Commonwealth and Brown’s attorney made arguments to the trial court judge regarding this issue. The Commonwealth took the position that the court had the authority to sentence Brown to life in prison without the possibility of parole on a discretionary basis. Further, The Commonwealth argued that if the judge declined to impose a sentence of life without parole, the court still had the authority to impose a sentence of life, and set the minimum term that the defendant must serve before parole eligibility – for example, the court could determine that the defendant should serve at least thirty years before becoming eligible for parole. Brown’s attorney took the position that the court had the authority to sentence Brown to less than a life sentence, such as twenty years, because of the ruling in Miller. The trial court judge rejected both arguments and found that Miller barred the court from imposing the mandatory life-without-parole sentence for murder in the first degree set out under G. L. c. 265, § 2. The judge further concluded that it would be improper for her to conduct a Miller hearing – i.e., a hearing to determine whether a life-without-parole sentence should be imposed on a discretionary basis – without some guidance from the legislature as to the procedures and factors that should be considered during the course of the hearing. The judge then went on to determine that the only appropriate sentence for Brown would be the next most severe penalty: life with the possibility of parole, which is imposed for murder in the second degree. The SJC agreed with the trial court’s approach. The Court stated that a statute’s provisions can be severed from one another if any one provision is deemed to be unconstitutional. The valid portions of the statute should be “preserved” – in other words, remain in effect – as long as they are not so intertwined with the invalid provision that they cannot “stand alone.” The Court went on to state that the life-without-parole provision could not be applied to juveniles, and that what remains is the equivalent of the sentence provided for murder in the second degree, i.e., the sentence of life in prison with the possibility of parole in no fewer than fifteen years. The Court stated that the remaining provision can stand on its own, and therefore reasoned that the trial court should impose such a sentence for juveniles convicted of first-degree murder, including Brown. 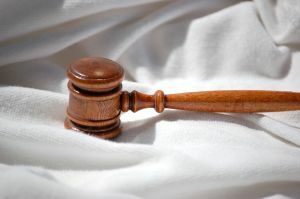 The Court did, however, recognize that this was not a perfect solution, and encouraged the legislature to enact a new sentencing scheme with respect to juveniles convicted of murder. The case was then remanded to the trial court for sentencing. Massachusetts courts are slowly beginning to acknowledge that the differences between juvenile offenders and adult offenders go well beyond mere age. This recognition brings new developments and changes in the law. It is of the utmost importance that a juvenile defendant has an attorney who is aware of these changes. If you have a child who is facing criminal charges, you will need an experienced attorney who is well versed in all of the developments relating to juvenile law, and who can ensure that your child is afforded all of the protections he or she is entitled to. Attorney Daniel Cappetta has significant experience representing juveniles and will work hard to protect your child. Call him today for a free consultation.